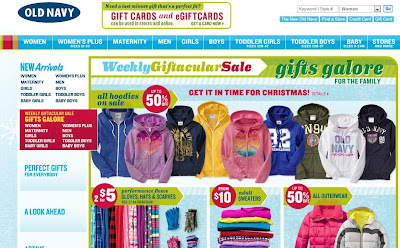 Beautiful Incentives: OLD NAVY Supercash and giftacular weekly sale. Until Dec. 24! OLD NAVY Supercash and giftacular weekly sale. Until Dec. 24! Head on over to old navy and spend $25 to get $20 supercash!! Offer valid only until Dec. 24th. Huge savings with an up to 50% off sale! Plus, their reveal a deal for today is $10 off a $50 purchase! Valid until Jan 2nd and some stores do stack coupons!